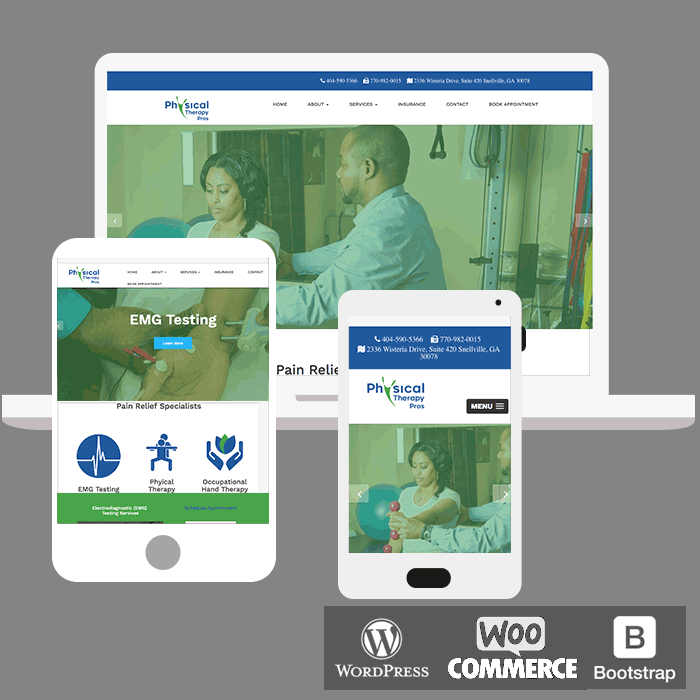 Physical Therapy Pro is an EMG Testing and Physical Therapy practice in Snellville, GA. We develop a Google SEO strategy, design custom corporate identity, re-designed the website to fit the keywords. EMG Testing, Physical Therapy, and Carpal Tunnel Syndrome pain relief. Before hiring us to strategize there wasn’t an easy way for someone who was looking for injury pain relief to find Physical Therapy Pros on the internet.